Your national conference or regional meeting of executives, entrepreneurs, and franchise owner/operators will learn how to maximize business growth at their local level with real world ideas that are practical and easy to implement. 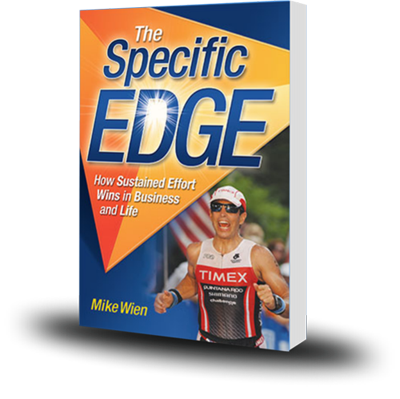 Customized for your audience, marketing expert Mike Wien provides entertaining and informational keynotes and breakout sessions by weaving relevant stories from his business and triathlon careers into each presentation. Attendees walk away with strategies for successfully attracting new customers and living a more fulfilling life. Success in business today is driven primarily by the ability to attract new customers. Mike Wien trains leaders in entrepreneurial organizations and owners/operators of emerging and rapidly growing franchisees to successfully compete with “Goliaths” by out-witting, out-thinking, and out-maneuvering their competitors. Attendees learn to deepen relationships with existing customers and attract potential customers by developing strategies and tactics that drive those targeted customers to buy. Half-day and full-day workshops are customized to address the needs of each audience. Mike Wien helps organizations develop and implement creative strategies for increasing revenue and accelerating growth by out-thinking, not out-spending their competitors. Mike spent the first 28 years of his career working in senior marketing roles and was the Chief Marketing Officer for Omni Hotels worldwide when franchising was introduced into the system and director of field sales for U.S. Franchise Systems (Microtel, Hawthorn Suites, AmeriSuites, and Hyatt Place franchisees). For the last 13 years, Mike has helped entrepreneurial organizations identify and use their competitive advantage. Mike Wien has built a career successfully out-thinking his competitors. 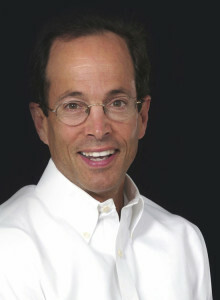 For the first 28 years of his professional life, Mike worked in large corporations — primarily in senior marketing roles. He served as Chief Marketing Officer for Omni Hotels worldwide when franchising was introduced into the system and director of field sales for U.S. Franchise Systems (Microtel, Hawthorn Suites, AmeriSuites, and Hyatt Place franchisees). For the last 13 years, Mike has helped entrepreneurial organizations and franchises capitalize upon their own specific edge. Additionally, Mike is the franchise academic advisor at Georgia State University and an adjunct professor of marketing at GSU’s School of Hospitality. He applies the strategies developed for success in business to his training as a world-class athlete. Having competed in four Ironman World Championships, Mike finished second in his age group in 2011. "Mike Wien’s presentation at Farmer Boys annual franchise meeting was interactive and engaging. The result was that our franchisees walked away with tangible ideas on how to capitalize on our farm-to-table competitive advantage and boost growth for their individual locations." "Mike is a fantastic facilitator and speaker! He captures his audience with personalized, targeted discussion and great examples from his own professional and life experiences. The Specific Edge is a great way to get teams thinking about the specificity of their messaging and how to anticipate client needs. Thanks so much, Mike, for sharing great stories and for inspiring us to do our best work! I had an amazing learning experience at the TrainingPros Summit at ASTD ICE Denver 2012!" "Mikes talk on staying ignited for life was GREAT this morning at the Alpharetta Rotary! Got a standing ovation from the audience. Everyone identified with Mike’s storey but saw their own life’s journey in a different way after his talk. Good Job, Mike!" "Make the time to attend Mike’s workshops. Mike will help you with improved communication skills and new perspectives on career, community, and family. I highly recommend Mike as a speaker and marketing expert." "Mike is a smart, affable and enthusiastic professional whose love of life and helping others is truly exemplified in his wonderful demeanor and his work. His Keep The Flame Lit for Life presentation inspires others to evaluate, then plan for life and career pursuits and then to enjoy the journey. Mike’s real life stories exemplify his ability to perservere and succeed. I would highly recommend him as a speaker as well as a marketing service provider." Many people have the misconception that success is the result of innate talent, dumb luck, or a magic formula. In reality, winners succeed through a combination of three things: the concentration to retain focus, the discipline to continually improve, and the endurance to overcome obstacles and failures. The Specific Edge is a blueprint for the average person to achieve success and fulfillment far above average. You will be guided to discover your specific edge and develop a strategy to outsmart your competitors. you will acquire tools to sustain effort while avoiding burn-out. If you'd like to book Mike for an upcoming event, please fill out our Speaker Inquiry Form instead. © 2019 Mike Wien. All Rights Reserved.